Each NinjaTrader Market Analyzer is a free floating window that can be manually resized by dragging the edges of the window and moved by left mouse clicking and dragging in the upper most margin for arrangement within the open Workspace. 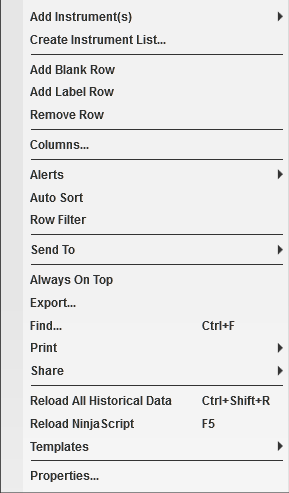 Displays a user defined label row. 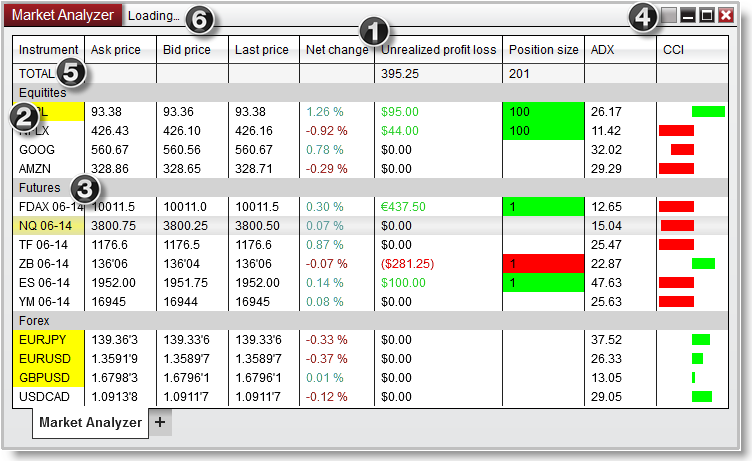 Window linking links windows to the same instrument and can be applied to many NinjaTrader windows. Displays the sum of all rows for a specific column. Can be applied in the Market Analyzer Properties window. All functions of the Market Analyzer can be accessed by pressing on your right mouse button within the Market Analyzer window to bring up the right click menu.